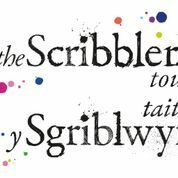 Hay Festival is back on the road, thanks to Welsh Government funding, bringing the Scribblers Tour to school children across Wales. The tour will be hosted in five Welsh Universities which includes the University of South Wales and Cardiff Metropolitan University, supported by First Campus staff. Events held at USW, Newport will have a maximum capacity of 106 per day. You can also draw from your Pupil Deprivation Grant for the Scribblers Tour.